Welcome to Week 20 of me publicly broadcasting my goal of getting down to 195 pounds every Friday until that goal is accomplished. This was a deload week so it was all about recovering. I did no major gym exercise. I did 5 minutes worth of basic body movements and some stair walking. When I say stair walking, I’m talking about using the actual stairs in my home not a stairmaster! I went two (Friday and Saturday) nights in a row getting only 3 hours of sleep. 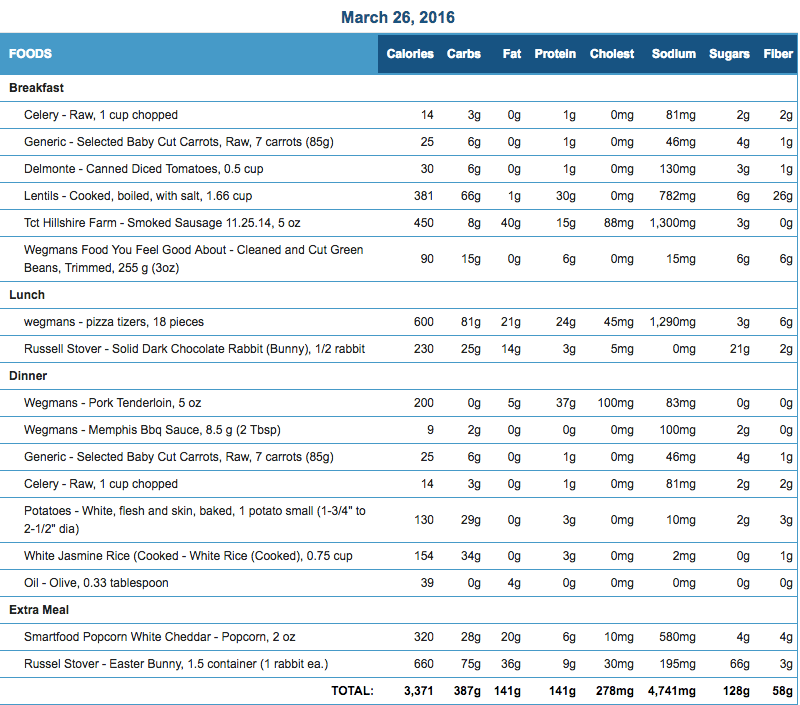 That will help explain what happened to me on Easter…..
Last week I felt I was finally back “The Zone” with my eating. I had been going so long with my healthy eating that natural instincts were kicking in. As Easter approached, I expected to have one cheat meal of Jello poke cake, deviled eggs & a chocolate bunny! That Friday before Easter, I ate my normal planned healthy meal. My wife had gone out to dinner and brought back a Chicken Caesar’s salad. She didn’t want to finish it, and thought I might want it. At first glance, I was going to ignore the salad because I was pretty full from my dinner. As I looked in the container, I saw that the salad was drenched in Caesar dressing by the restaurant. Due to the wetness, my wife and I didn’t think the salad would last over night. Since I was good all week, I figure eating the salad wouldn’t do me any harm. As soon as I bit into that salad, I should have stopped! You see the salad was completely drenched in dressing! Not only that, but the salad was no longer crunchy but just soggy! It was pretty nasty but I kept going. Once I was done, my stomach started to churn. I thought to myself as I continued to watch the Sweet 16 college basketball games. The stomach pain started to wane, and I told myself..
That led to me eating some chips and popcorn that I hadn’t touched all week. In Week Nineteen’s post I mentioned how I devoured a whole potato chip bag. This bag was a brand new bag that I had bought last week as well. The difference was I didn’t touch these two snack bags at all until this moment. After snacking on the chips and popcorn, I saw Mr. Dark Chocolate Easter Bunny peeping at me. I bite the head off that bunny and escaped into chocolate bliss. As I lay on the couch past 1 o’clock in the morning, I could feel the salad, snacks and chocolate churn my stomach. Oh I was in so much pain. That bingeful eating kept going throughout Saturday. Due to the lack of sleep, I was in complete zombie mode. At the grocery store, I purchased a brand new white chocolate bunny. I felt like I was someone not in control at all. Once Easter came, I was on Cheat Day #3. This was the only day in which I really did plan to have a cheat meal. Unfortunately, I made it a cheat day. Due to the lack of sleep, cheating crept it’s way all the way into Monday. So that was four days in a row of my overeating. This shameful ordeal has totally opened my eyes to what a lack of sleep will do to my willpower. I always knew that I functioned best with 7+ hours of sleep. I always associated the sleep with recovering from my gym workouts. Now I see it goes much deeper than that. When my body and mind are tired, I make horrible food choices. If I look back at all the past two months cheat days, the majority happen because of lack of sleep. Throughout this ordeal, I made sure I kept track of how I truly felt. During this entire time, I was having major stomach issues. Lentils mixed with popcorn, chocolate, pizza bites, Cool Whip and cake don’t play nice together when inside this guy right here! Remember, I was originally in “The Zone”, so my body instantly rejected those foods. While my mouth wanted more, my stomach kept kicking it out of my body! My body knew what was good for me, it was just that my brain was too tired to listen to it. My stomach didn’t feel normal again until Wednesday morning. To prevent this from happening in April, I created a new Release The Beast response card. This card will help make sure I do not give into junk food when I have less than 7 hours of sleep. This simple stupid jester will put me right back on track. Note: If you would like to know how to create your own response card, check out Release The Beast: Conquer Mental, Physical & Diet Challenges To Unleash The Champion Inside! How could I be mad with the results considering I did no real workouts, had sleep issues and went on an eating binge! 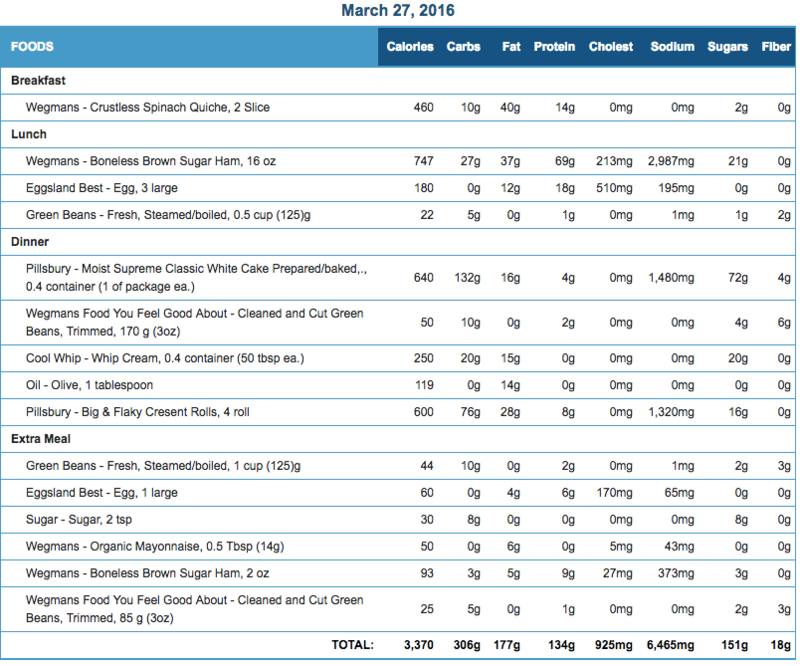 Fat loss is a rollercoaster and last week was definitely one of the low points on my current ride. When looking at my food stats you see I ate a lower amount of calories for 3 days due to the over eating. 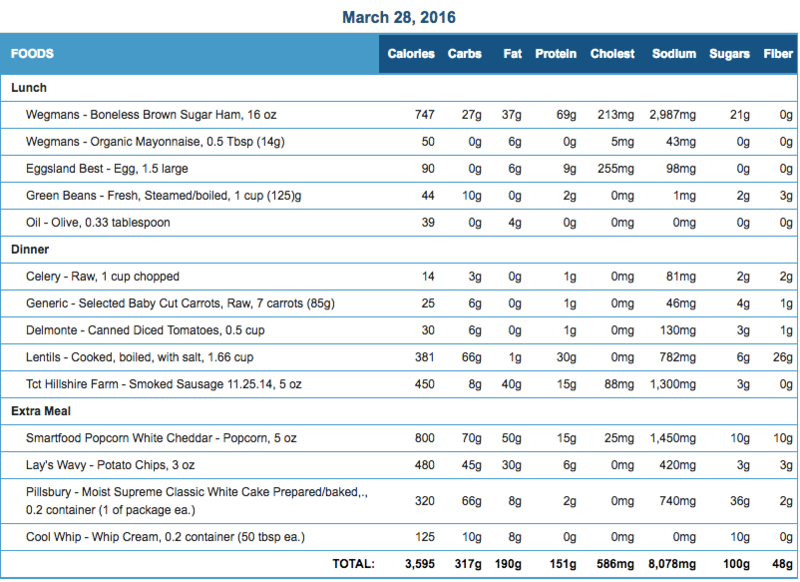 I wanted to make sure that my total calories for the week was closer to my overall goals (1776 x 6 days + 4000 x 1 cheat day ~= 16,432 calories per week). 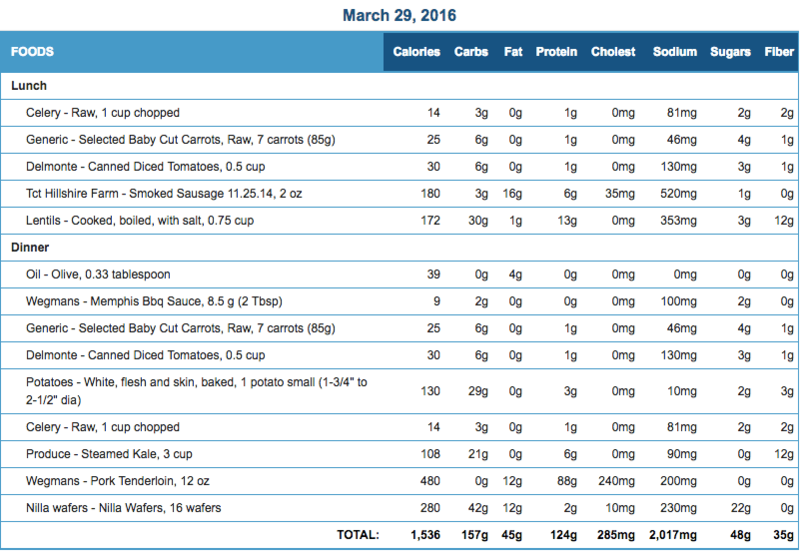 My total weekly calories were 18,362 calories which is still above my “perfect” week of 16,432 calories. 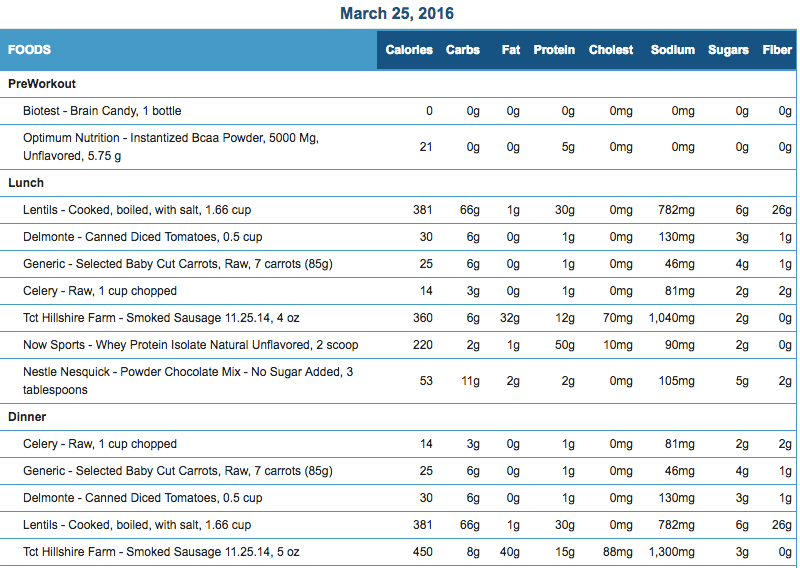 20 Weeks Down……7 Pounds (of Fat?) to Go……Waist goal achieved and now must be maintained! There’s no denying that I am the true fool on this April 1st! One bad week does not define a whole month! One bad month does not define a bad year! The goal will still be achieved. Will you be around to see me through it? Tune in next Friday for Week 21! Previous Previous post: How Much Is That One Bite Worth?